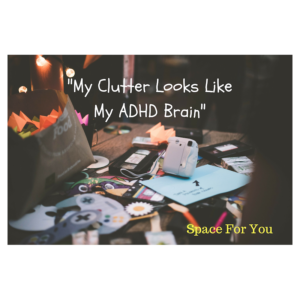 Working with someone who has ADHD (Attention Deficit/Hyper Activity Disorder), can really add an additional layer of difficulty when helping someone to declutter and organize. An individual with ADHD may have difficulties and challenges that cannot be seen so it can be important to be aware of the signs and symptoms. Perhaps the person has not come forward with these or maybe they don’t even know themselves. So, this topic has come up for the Professional Organizers Blog Carnival and my partner, Hallie agreed to let me interview her. She said she was happy to do this, especially if it helps someone else. When were you first diagnosed and what led up to the diagnosis? What happened after you were diagnosed? What are your challenges with your stuff? What about other areas that you struggle with in your life? What are your suggestions for others who may be living with this? Find a Mentor or a Counsellor who you trust who can help you to understand that you think differently and to teach you some coping techniques to help you get through each day. Having systems in place can really help with keeping things organized in your space as well as in your life. I have a Smart Pen for school that records my lessons. When doing homework or studying, I am able to listen to this a second time and it really helps. 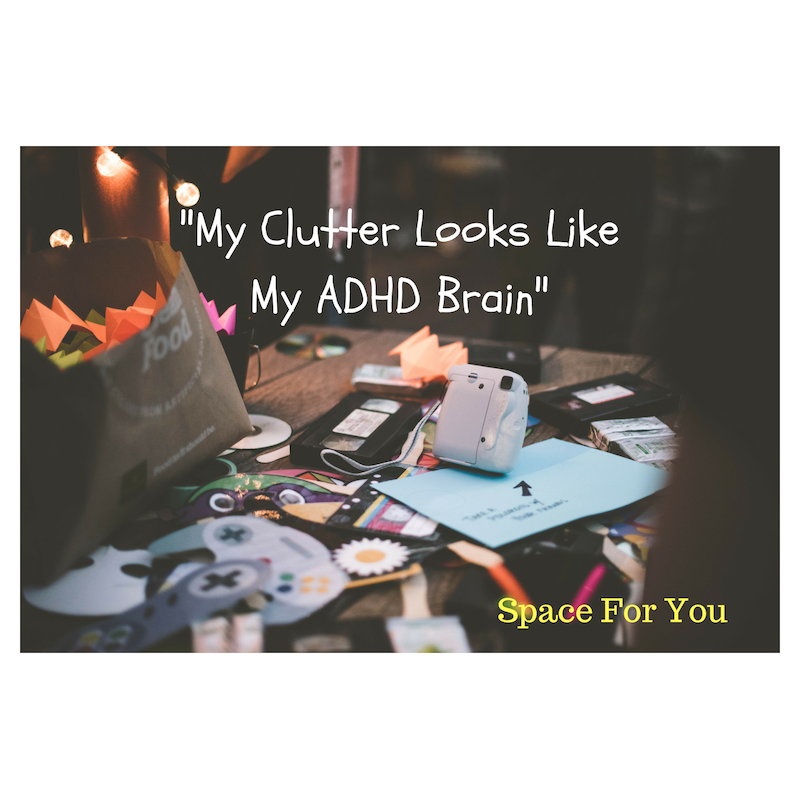 This entry was posted in Clutter, Inspiration, Organizing and tagged ADHD, chronic disorganization, De-Cluttering Your Life, letting go of clutter. Bookmark the permalink. This is very eye-opening! Please thank Hallie for sharing her story with us. Thank you both for sharing, especially Hallie. That can be courageous for some people. I appreciated that you have found ways to manage your ADHD most days without medications. People need to decide that for themselves provided they’ve found other means to manage “life with ADHD,” as you have. The meds question is big: medications, acceptance, conflict with other meds, and the organization required around keeping up with prescriptions and taking them is more than people realize! I have passed this on to Hallie and she is very appreciative. Thank you for your feedback. So nice of Hallie to share her story. Having a diagnosis can actually be comforting – it is something to point at and study and understand. I like that she offered a couple of different options for managing. I haven’t heard much about tapping, but find this very interesting. Thanks so much Seana, You are always so supportive. I have learned a lot about the positives around ADHD which are so great to hear about. Tapping is interesting for sure and I know I have read some blogs about how it can help with those who are struggling with clutter issues too. I need to practice it some more as well. Very interesting, especially for organizers (like me) who haven’t learned all about it in ICD (Institute for Challenging Disorganization). When I have a client with ADHD I notice things they do or say — like Hallie’s statement, “Clothes are easy for me because everything has its place.” — and try to extend existing good habits to other areas. Sometimes, though, I end up referring them to an ICD colleague. What a beautiful, open interview! Thank you, Hallie, (and Kimberly) for sharing this. I love how you’ve discovered all of the strategies that work for you. That’s the key. We’re each unique in how we think and process. What works well for one person, may not work at all for another. You’ve gotten creative about finding what works for you. All of your advice is great. Your idea about finding the right type of support stood out to me. That’s essential. Many of my clients have ADHD. I appreciate being on their team.. I focus on the person- their goals, what works, and what doesn’t to support them in a way that’s most helpful to them.